Andy Council: 'Never Judge...?' Group Show At Stolenspace. 'Never Judge...?' Group Show At Stolenspace. I'm really pleased to be part of this group show at Stolenspace gallery London. 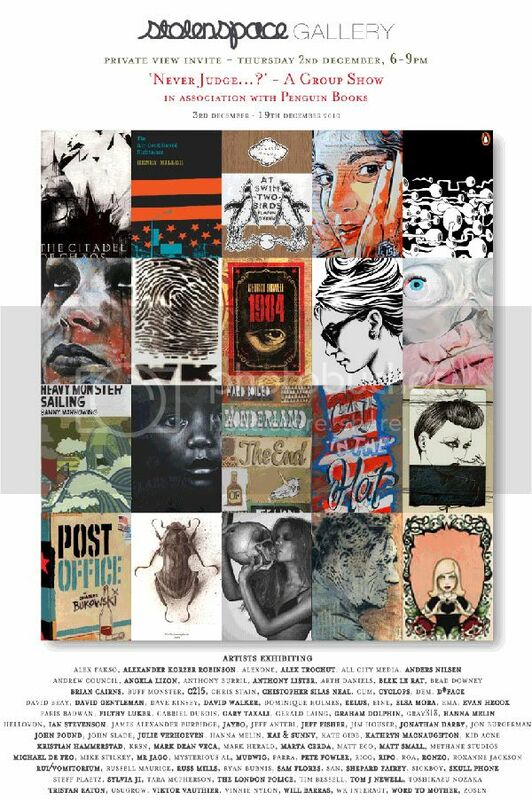 The brief was to create an original artwork to the traditional format and size of a Penguin book for a novel of my choice. I of course chose Arthur Conan Doyle's 'The Lost World'. 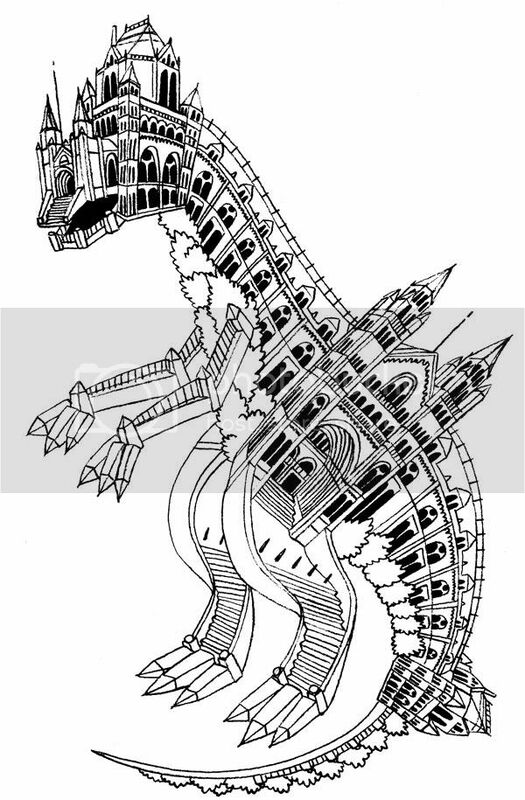 I did a neat little pencil drawing of a dinosaur made up of London's Natural History Museum. the cover after all has the job of explaining thousands of words in an instant. these are amazing. love the way you integrated architecture into it.